As some of you might have heard through the grapevine, the official Ledger IOTA App is about to be released — all thanks to the community-driven initiative lead by some of the best developers we were honoured to be working with (some of them actively participating in the Hercules development as well): wollac, diskings, muXxer and others. 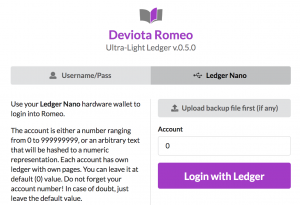 Same developers have helped us integrate the Ledger into Deviota Romeo — a page-based wallet that runs in most browsers. Punctually for the release of the Ledger IOTA App, we have published Romeo 0.5.0 Public Beta with massive updates to improve the Ledger integration and user experience. If you have a ledger and want to try it out, read on. 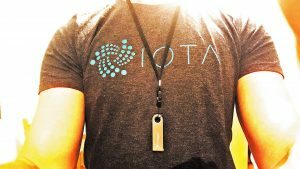 You need the Ledger Nano and install the corresponding IOTA App. Follow a simple procedure (https://github.com/IOTA-Ledger/blue-app-iota-loader-alpine) created by muXxer, which takes about 3 minutes, if you already have the VirtualBox installed(and don’t forget to donate for his awesome work! ;-)). That’s it! You are ready to roll! with Ledger, you can use your friend’s or any public computer to manage your finances without compromising on security. Due to it’s page-structure, powsrv.io integration and modular design, there is currently nothing that beats Romeo. A transaction takes about 1–2 seconds (or 14 seconds on Ledger) to complete. Your ledger could literally handle a billion of different accounts. Each account with its own set of pages. Romeo is only limited by your browser! And the limits are HUGE. Thanks to Ledger, your seed or password does never show on your computer. Forget about trojans or someone looking over your shoulder! Romeo let’s you know exactly what addresses you have used, which of them still hold value and which of them can be shared. Practically all information can be copied with a click and opened in thetangle.org for verification. In order to be able to connect with Ledger, Romeo has to run on a HTTPS server. default value for the moment. That is because there is a Ledger’s hardware limit of how big a bundle can be. Therefore, only one output and a few inputs for now. That is why the donations line for Field Servers (which does not mean that you should not support the hard-working Field servers ). 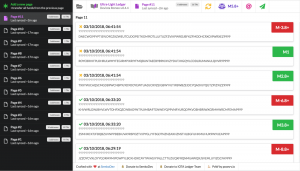 If the current seed/page has more than one address with positive balance, usually, one bundle is created to pass the whole balance to the new page. 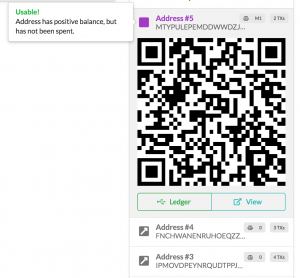 On Ledger, a separate bundle is created for each address. This is similar to point #1: hardware limitations. This also means that you will have to confirm each of the bundles on your Ledger sequentially. transaction on your Ledger. Until then the transaction screen will be “waiting” for your input. The usage of Romeo together with Ledger has tremendous benefits. Apart of quick login and additional security, you can use any Romeo hosted anywhere, without being concerned about sharing your passwords or seeds with potentially dangerous parties. Similar to MyEtherWallet used with Ledger. As long as your seed is on your Ledger, your IOTAs are safe with Romeo. There are definitely some glitches and bugs that still have to be ironed out, but the core is pretty stable. Add option to switch servers from Field to a custom one (settings screen that saves to browser’s local storage and backup file). Even though Field does automatic promotions/reattachments, add option to do so manually. Better queue management for faster syncs. Semi-automatic restoration of pages after global snapshot, when no backup has been created. Make the frontend visually more appealing. Refactoring of frontend and backend components. Our initial goal with Romeo was to test certain concepts regarding the seeds/page management, statefulness and static addresses. Most of our aims have been achieved and these learnings will be used in the next steps of our R&D. Also, due to lack of resources and certain decisions beyond our control, Romeo has been pushed back in our priority list over the last few months. It does not mean, however, that Romeo is dead. We want it to be a community project. We believe in the power of unbiased community-driven solutions in the direction that the community sees fit. It’s beyond any commercially created solution. Why? Because community solutions have another motivation. There are totally other creative energies and interests involved that no commercial project can compete with. We are completely re-writing Nelson in Go. The second version takes the learnings from Nelson 1.0 and improves on vital components, which will be necessary for the next endeavour. Nelson 2.0 will be integrated into Hercules. A stand-alone application might be created for usage with IRI.